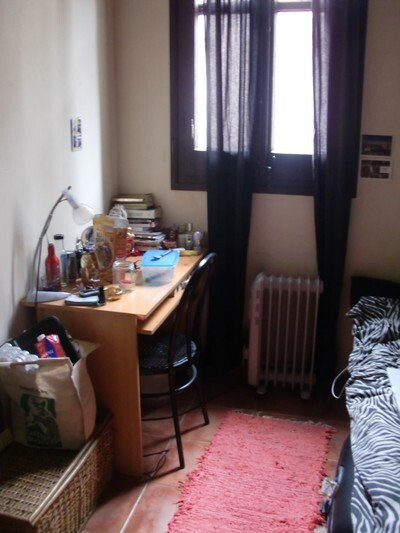 My room - the inside scoop! So I got this room the 1st of February. I love it in everyway but I disslike my landlord so I might move next month - again. In the last 6 month Ive had 4 different appartment and 5 different rooms. But It gets better and better! 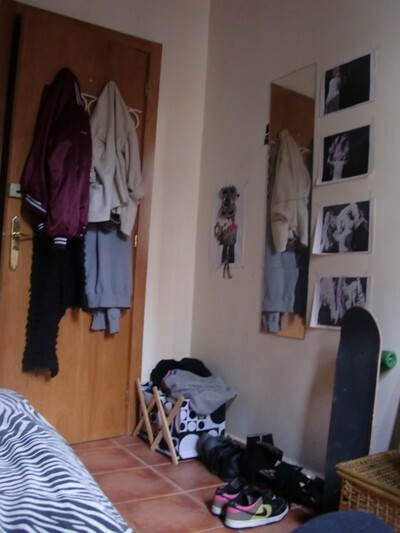 So this is my room, welcome! 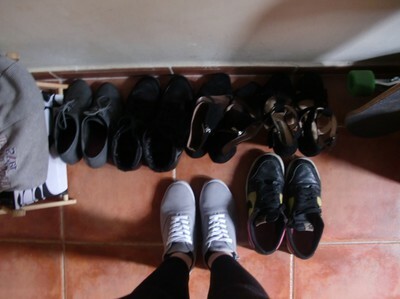 You need to have a fullsize mirror with all you shoes under it if your a girl. I hade a pair of Nike AF1 but by mistake my neighbours throw them out. Funny story actually. 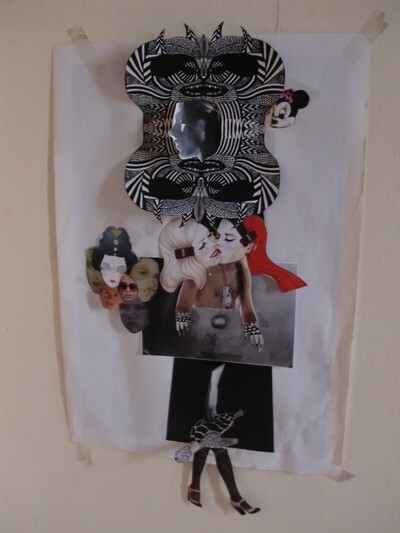 I brought the home-made art from my last appartment with me. My lovely doublebed with my zebrasheets that I adore! I sleep SO good here, exept when the Italian roomie plays his dunka-dunka in the middle of the night. But he is great so I forgive him. I always manage to have a messy desk, I cant help it! My window is on the sunnyside but to a very quiet street, with the supermarket just in front. PERFECT! My favorite clock, people hate the sound but I love it and I think its a perfect decoration. 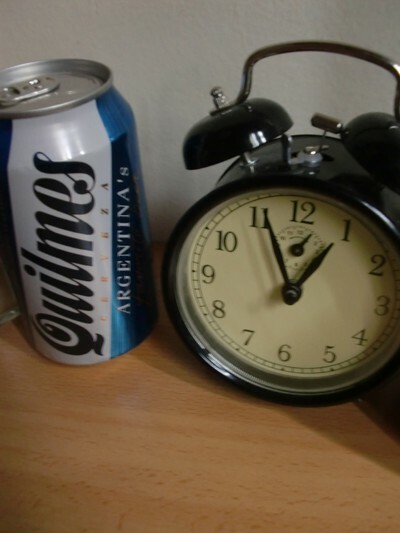 And next to it, the best beer in the world - an Argentinian Quilmes! 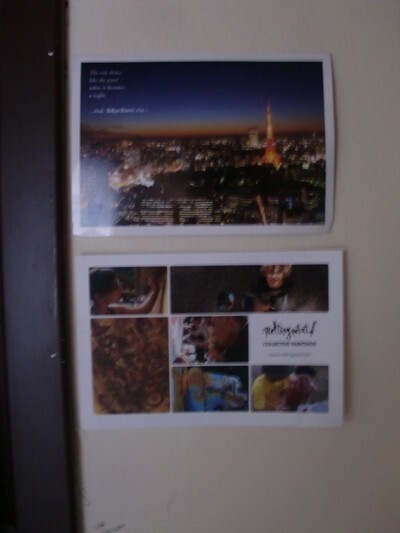 Postcard from my bestfriend Bea when she was in Tokyo and postcard from an artcollective from France. Good memories always by my side. 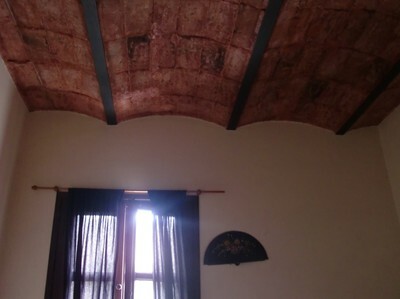 My ceiling is so beautyfull, dont you think? Its like brick-stones cut off with black and then white walls. 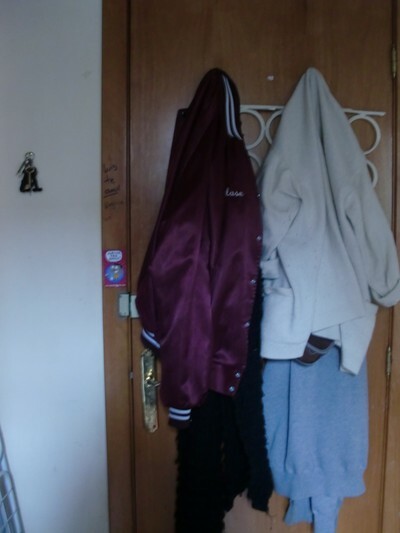 My door full of jackets, and to the left my homekeys with the keychain from Tokyo. As I said, Ive only hade this room for 4 days so I still have a lot to do with it, more art, more fabrics, Im going to buy some green plants or something and so on. I pay 340euro/month for this room and everything is included like internet, gas, water, electricity and so on. An other day you might see the rest of the house! Me encantó tu cuarto. Pensá mucho antes de dejarlo. Despúes de todo a el duenio no lo tenés que ver seguido.